Neutral grey layout of the theme completely suits its content and speaks about professionalism of the owner. 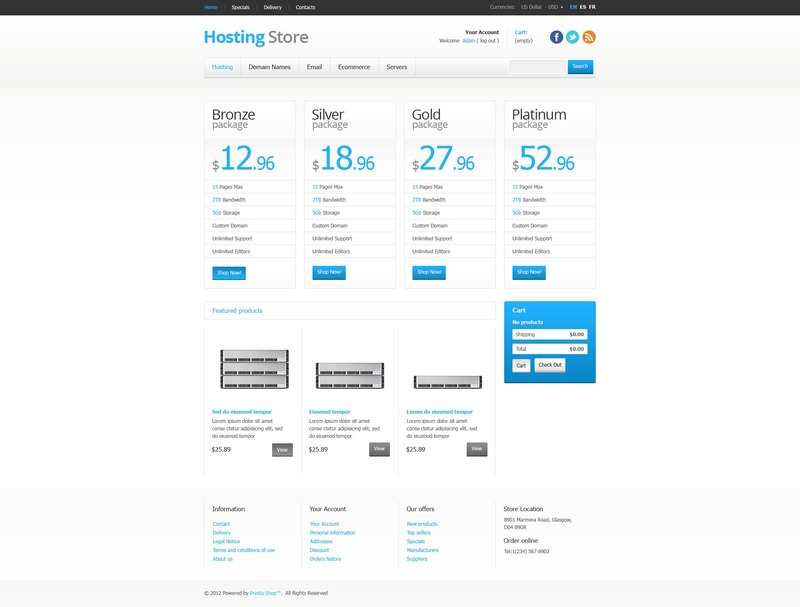 Hosting packages are clearly presented in separate blocks. Featured products are arranged in three columns. Widgets considerably improve the navigation. Search form and social media icons are in the right upper corner of the page.